No matter how it is collected, there is a broad agreement across the industry that by 2027 we will have a huge amount of data to base agronomic decisions on. 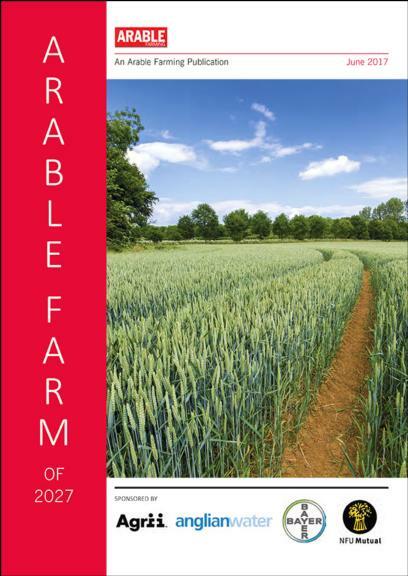 This article is part of Arable Farm of 2027, published in Arable Farming in June AF and sponsored by Agrii, Anglian Water, Bayer and NFU Mutual. To read more articles from the booklet, click here. A wide range of systems including soil sensors, drones, fix-winged aeroplanes, boommounted cameras, and satellites are already capable of providing data for decision-making. Hazel Doonan, head of crop protection at the Agricultural Industries Confederation, says: “In 10 years’ time one of the key skills for agronomists will be the ability to analyse and interpret the increasing amounts of data on all aspects of crop growth and soil mapping, and cut through to the information which is relevant for each field situation. “With the availability of data from sources such as drones and satellites, I would anticipate there will be a reduction in the need for field working, allowing the agronomist more time to concentrate on interpreting the data.” Steve Patterson, global crop manager for cereals at Bayer, says one of the big changes will be what can be accomplished with image data. He says: “I think that what we are able to do with image data in 10 years’ time will have advanced considerably, just think about the changes we have seen in mobile phone technology in the last 10 years. The theory is good but Ewan McFarlane, digital business development manager with Agrii, says the data has to be usable and easy to put into action. Professor Jimmy Burke, director of research and knowledge transfer at Origin, says: “We all understand the nature of the challenge. Annual cereal production needs to grow by almost one billion tonnes globally by 2050 compared to the two billion tonnes produced annually at present. Origin has recently completed the acquisition of Resterra, a company which combines expertise in the use of the digital channel for farming with expertise in precision agriculture, data capture and analytics. Prof Burke says: “Resterra’s existing capability will strongly complement the collaborative research partnership between Origin and University College Dublin which was announced on December 12, 2016. “The aim of the partnership is to build digitally-based and data-driven advisory tools for rapid and localised crop technology transfer. 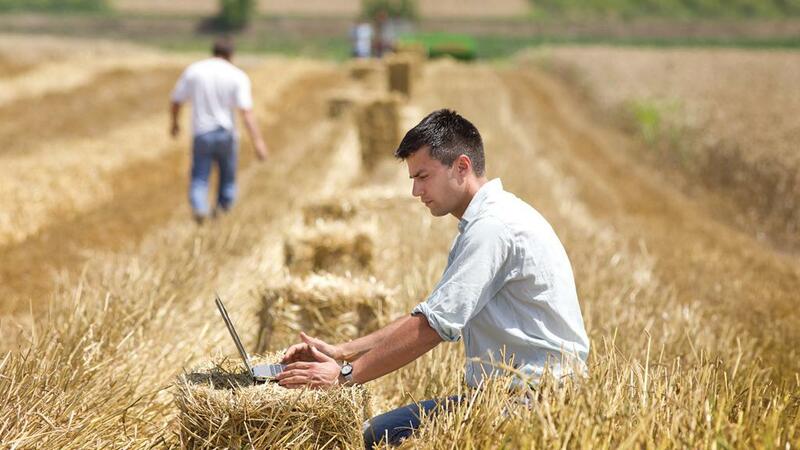 The programme called CONSUS is a large-scale (€17.6/£14.8 million) strategic partnership which will optimise arable crop production through the creation of a scalable and adaptive Intelligent Crop Management Framework, and provide rapid, reliable, relevant, localised and timely information to farmers and agronomists, with recommendations for immediate day-by-day on-farm decisions. “We are well placed to drive this agenda with our large number of agronomists on the ground throughout the UK and with a customer base of 30,000, this new research programme will deliver a stepchange in crop agronomy tools and practices. “‘Knowledge is king’ and Agrii’s new research and development programme will provide new data collection streams at large-scale and intensity. By 2027, and perhaps well before this, we will have developed new approaches to managing inputs, managing soil health and mitigating losses through pests and disease while at the same time achieving higher yields and productivity. A clear flow of useable data to and from farms will help to solve a problem highlighted by Ewan McFarlane. At the present time Agrii only gets feedback on a small percentage of the recommendations made by its agronomists. Data which confirms what has been done and when, as well as final results in terms of yields by sub-field areas, can help with future decision making. Mr McFarlane believes in 10 years’ time, a vast amount of data will flow in both directions. Data collected on-farm raises the thorny issue of ownership of data, and while companies such as Agrii will want to protect the intellectual property in the recommendations they make, they are clear the ownership of the on-farm data remains firmly with the farmer. P.J. Walker, sales and support technician for RTK Farming, believes the company’s model of using RTK (Real Time Kinematic) networks to deliver greater precision from GPS will continue to gain ground over the next 10 years. He points out that while normal GPS can provide accuracy down to 30cm, RTK technology can put vehicles within 2.5cm of a location year in, year out. He says: “Only about 30% of vehicles using GPS can achieve these levels of accuracy. More and more manufacturers are offering the option to have RTK fitted at manufacture or as a retro-fit. “It makes sense for future farming where we will see an even greater need for precision and the precise implementation of data-driven decisions. However, it makes good sense today with the use of controlled traffic farming and greater precision in tasks.